In the early 2000s the cardiac team at Great Ormond Street Children’s Hospital (GOSH) in London initiated an improvement project aimed at making it safer to transfer critically ill infants and children from the operating theatres to the cardiac ICU, a highly complex procedure. After a busy night and day, the cardiac surgeon and intensive care consultant sat down to watch a Formula 1 grand prix and following an awesome pit-stop, suddenly thought wouldn’t it be incredible to learn from a pit crew on how they come together as a team under huge pressure and change the tires and fill the car with petrol in under 8 seconds. They then approached both the McLaren and Ferrari Formula 1 teams through the then chief medical officer for F1 Prof Sid Watkins. After visiting the teams and watching their pit crew in action they brought the lessons back into healthcare and subsequently studied the effects of this change. The results showed a staggering 40% reduction in non technical errors. The study was featured in the Wall Street Journal in 2006 and Paediatric Anaesthesia in 2007. Some of the same team later visited Heathrow Air Traffic control to learn how they handed over the tower between teams and used these lessons to improve the safe handover of the whole hospital site from day to night shift. The medical team at GOSH were also at the time learning about human factors and crew resource training from an experienced training Captain at British Airways. 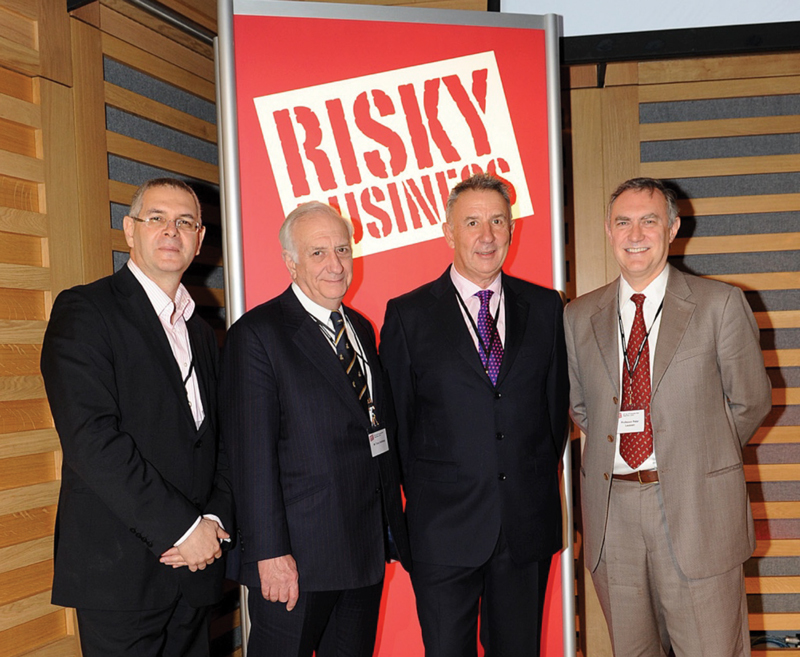 The intensive care doctor from GOSH, the airline training captain from BA and a vascular surgeon from The Royal College of Surgeons in England then met in 2005 at the local café outside GOSH to plan the first risky business conferene with the aims of learning from experts outside of healthcare to stimulate new thinking into safety, risk, human factors, teamwork and leadership inside healthcare. The first conference was held in 2006 jointly hosted by GOSH and The Royal College of surgeons. This was initially called Everybody’s Business but changed to Risky Business early the next year. The conference focused on defining moments in safety critical industries including NASA, civil aviation, offshore oil and gas, nuclear and Formula 1 industries. It was an outstanding success. One of the speakers from Boston Children’s Hospital was so impressed he said we had to take the show on the road internationally and so the first conference was held in Boston in 2007. Since then we have held stand alone Risky Business Conferences in London (x8), Boston (x3), South Africa (x3) and Toronto (x3). We have also run numerous mini Risky Business symposium as part of larger world conferences in healthcare eg paediatric cardiac, intensive care, extra-corporeal support and orthopaedics. We have also run small events as part of hospital grand rounds. In 2018, having run our last 5 events at the iconic Kings Place conference centre, we agreed a partnership arrangement with the owners of Kings Place. We are confident that this partnership will allow us to develop our events in a more professional manner.